There are a lot of things in the world of knitting that are debatable. Some of these questions are even unanswerable because they are really just a matter of preference. Needle choice, for example, is largely a question of preference. Some knitters will choose straights over circulars, long over short, bamboo over addi, etc. Will anything terrible happen to your knitting if you use Addi Lace needles (my faves) vs. Bamboo circulars for a given project or vice versa? No, it’s a matter of what makes you happy. Do what you feel! What does this have to do with blocking you might ask? Nothing really, it’s just that blocking is one of those knitting issues that is really just a matter of debate that I think comes down to preference. There is much debate on the purposes of blocking and when, why and if it should be done. This intro is kind of acting as a disclaimer, there are lots of schools of thought on blocking and I’m really just sharing my own. Do what works for you, as usual. There are different ways to block different items and I thought I would start with something I’ve done a fair bit of lately: some lace. Step 1: fill a bucket, sink, or bowl with cool water. 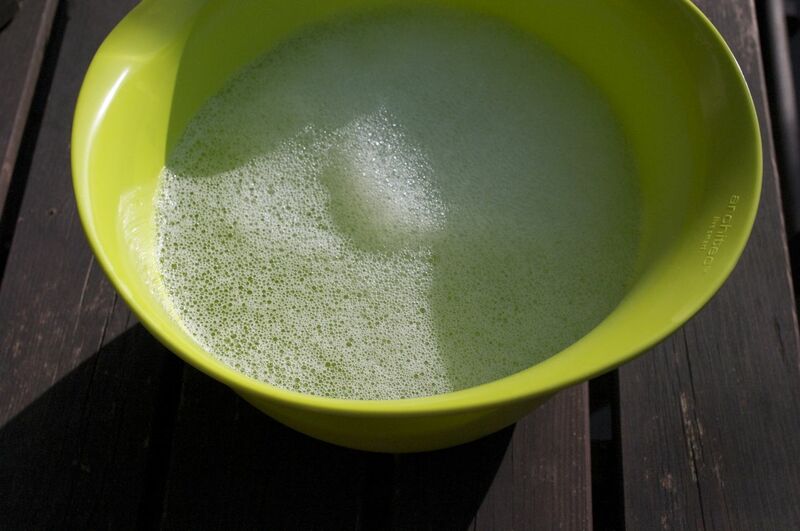 I use a bit of SOAK in my water, it’s a wool conditioner that smells nice and softens your finished project. 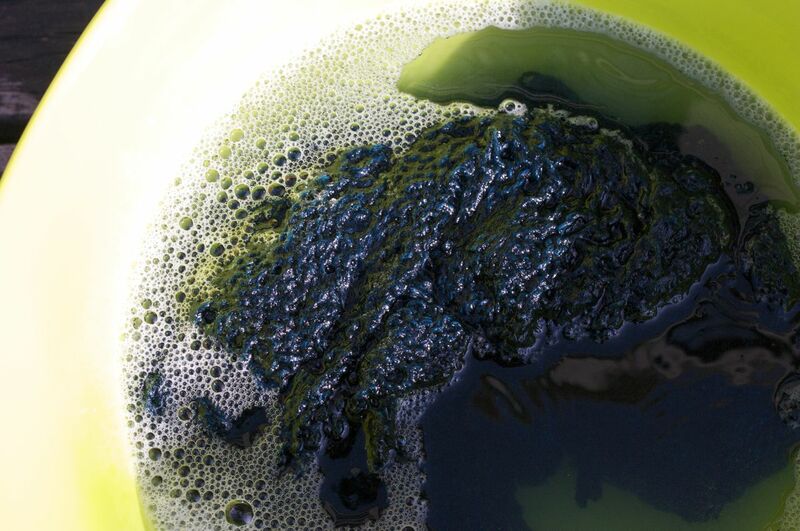 Step 2: put your finished shawl into the water and gently squeeze out the bubbbles. When no more bubbles come out, you know the water has completely permeated the yarn, making it easier to have the shawl stay the way you want it when you lay it out. Some would disagree with this full immersion approach and would make the shawl damp with wet towels. It’s another way to go but I’m not that gentle with my knitting. If I’m going to be wearing something I think it should stand up to a certain amount of abuse. DO NOT use hot water. It will felt your knitting and unless you are going for that felted look you will be sad. There might be tears. Don’t let this happen to you. Step 3: Roll your shawl in a towel to get out some of the excess water. Use a dark towel if you are nervous about running colours. Step 4: I used to to pin my shawls to a towel but Emily set me straight on that. She uses cardboard for a good stiff blocking. I tried it and I agree. I got a big cardboard box and broke it down so I had a nice big surface. Then I laid out my shawl and put quilting pins through the points on the shawl. 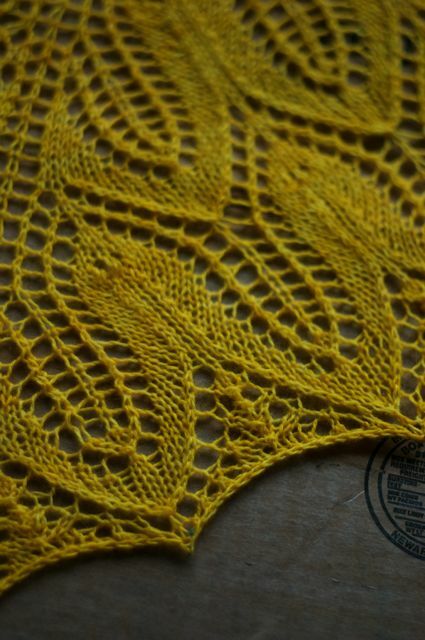 Each shawl will most likely have it’s own natural points, you’ll know, don’t worry. Just put your pin through the point stitch and then through the cardboard. 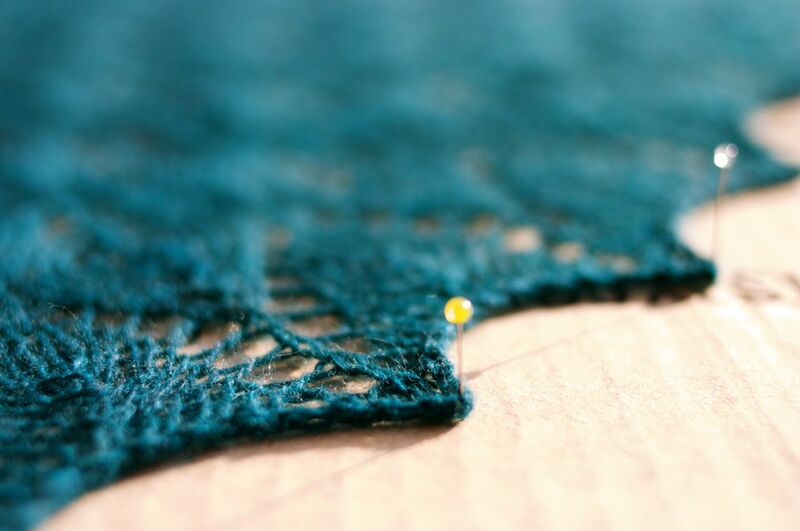 Lace really looks amazing when it is blocked rather severely so don’t be afraid to really stretch it! FYI: I don’t recommend using quilting pins, I didn’t have t-pins (which I do recommend) so I used the quilting pins I had and I kind of wrecked them. I am so impatient sometimes. Step 5: Let it dry, unpin and enjoy! This is kind of a severe way to block. Others suggest that you block it slowly and gradually. I am obviously much too impatient for that. Also having a giant piece of cardboard taking up my living room is probably already pushing hubbies patience so keeping it there for an extended period of time is just plain not going to happen. If you are blocking a sweater, scarf, blanket, some fair isle mittens, or really any other piece of knitting you probably won’t need pins. Again, others might disagree but I think it’s kind of overkill to pin down a scarf. Unless you need points of any kind, then you will need pins. There are always exceptions! If I’m blocking any one of these items I will repeat steps 1-3 but then I will lay it out on a dry towel the way I want it to look (uncurled edges, straight seams, even stitches etc.) and let it dry that way. If it’s a sweater it can take a while to dry (beware the Christmas Eve block. That’s a story for another time…..) so I would change the towels every so often to speed drying. You are really just smoothing things out, those funny stitches and crooked seams. Fair isle items always look much better after a block, much smoother and more even. This entry was posted on Monday, April 26th, 2010 at 10:19 pm	and is filed under Uncategorized. You can follow any responses to this entry through the RSS 2.0 feed. Both comments and pings are currently closed. Here’s a tip I’ve found that works great. Put a fan in the room where you are blocking a sweater. It dries in a day or less depending on the size of the sweaater and fan. Hope this is helpful. Thanks for another tutorial! Do you block your sweaters in pieces before sewing or as one piece? I have found that the place best for blocking is under my dining room table…. the forced air heating in our house does a great job and nobody can touch the project.